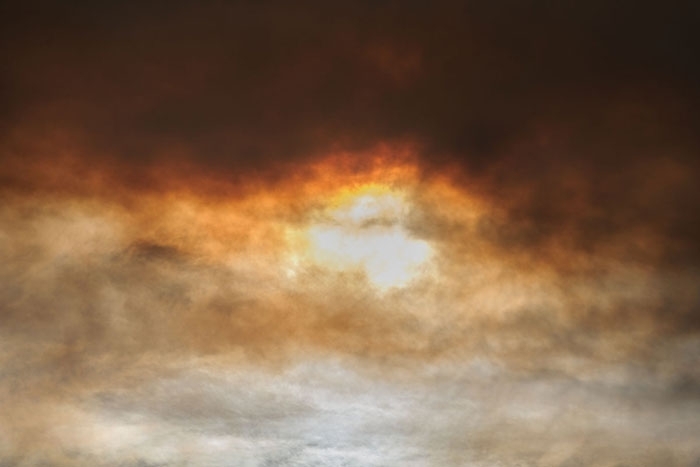 This exhibition by Rowan Conroy features photographic cloud works that were made during the New South Wales firestorms of 17 October 2013. Prime Minister Tony Abbot at the time commented that firestorms are a natural part of the Australian landscape. This was just nature going about its business, nature naturing. The reality of human induced climate change challenges these enlightenment notions of the sublime in nature. Now when we gaze at up at the clouds we can no longer be sure that what we are seeing is nature in its purest form free from the influence of human action. We as a species have changed the physiognomy of the sky. Gallery hours: Saturdays, or by appointment. Image: Untitled from the series Natura Naturans 2014. inkjet prints on cotton rag, courtesy of the artist.